El Nino turns 'el mean yo' for California | Watts Up With That? 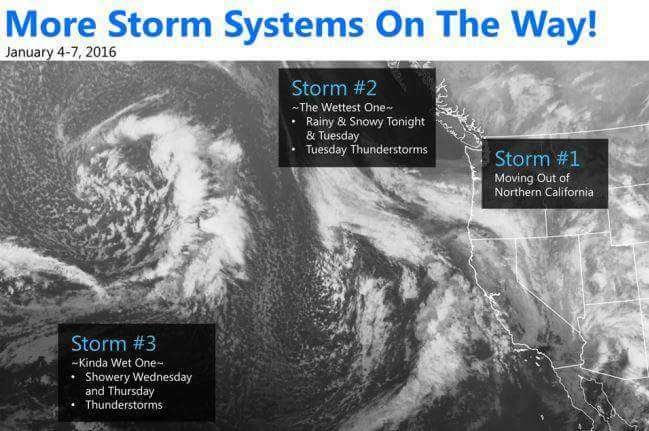 Over the last few days California has been hit by a series of winter storms that have been driven by an El Nino aimed Jetstream pattern that has pushed further to the south and with more zonal flow than usual. It has been comical to watch some of the television news coverage of these events related to weather especially in Los Angeles. Incidence of minor street flooding and stalled cars from people that were unobservant enough to drive thru knee deep water at road speed turned into almost comical rescue events. Elsewhere interstate 5 had snow at the summit over the Tehachapi Mountains yesterday and that called the number of people that weren’t paying attention to the weather to get caught up in that drama. All in all though from what I’ve seen in Southern California it’s all pretty much business as usual for an El Nino winter it’s just that people haven’t been used to such weather for quite a long time. Of course that hasn’t stopped some pundits from declaring all of this as being driven by “climate change” and claiming that “severe weather is getting worse due to climate change”. But those who are in the know and who have studied the California weather for decades know that this is no extraordinary event nor is it connected in any way to climate change it’s just a natural pattern this part of ocean cycles that have been going on for millennia. They are getting a break in California from the train of storms now but the next one will be coming through on Monday hopefully by then some people will have wised up on how to deal with plain old weather events. January 7, 2016 in Climate News. I fix that and some other spelling errors. It is tough sometimes dictating a blog post from a cell phone and getting it 100% right on the first pass. Thanks for noticing. Please see http://cliffmass.blogspot.com/ for an explanation. Apparently, the U.S. Department of Agriculture doles out financial assistance to farmers on the basis of these drought maps. Not surprisingly, that provides a strong incentive to report that areas are suffering from drought, even when the land is flooded. @Dreadnought If we are thinking about the same event (2012) the problem was that previous winter rainfall had been too low to fully recharge the reservoirs so nearing the end of spring (April / May) all the experts were predicting a drought summer and saying that no amount of summer rain could alleviate the problem. Then it rained for pretty much all of June, the ground filled up, the rivers filled and even the reservoirs filled. The weather types were saying the same thing in the 70’s. Lake Shasta filled after a single winter – ’77/’78. That’s what they said in the UK a few years back when we had a drought, and yet after one wet winter all the reservoirs were full to the brim again. Glad it’s not just me. For most of the year Boston was reported as Abnormally Low or Drought, even though they were getting reasonable rainfalls and had record winter snow melting into Jun. I’ve frequently noticed that reported rainfall totals here in Central Oregon frequently are much less than what appears to have fallen. “Be careful of what you wish for” is so appropriate. It’s far worse than we thought, once upon the time it was just the snow which was thing of the past, now it is whole lot of the normal weather. God that is a quote of the week. “once upon [a] time” = the operative words; Myles Allen is not a prophet but a teller of fairy stories. “the weather never used to be like this”. This is probably one of the first sentences uttered by ancient humans hundreds of thousands of years ago. We have often noticed that in the tabular statements of those compilers of weather records who write to the Times, useful and welcome as their communications are, every season is sure to be “extraordinary,” almost every month one of the driest or wettest, or windiest, coldest or hottest, ever known. Much observation, which ought to correct a tendency to exaggerate, seems in some minds to have rather a tendency to increase it. I have over the last 40 years not seen any weather that wasn’t a natural variability. The damp part of The Drought. For all the talk about the drought over the previous several months, do they just let that much rain water just run off the LA streets into the ocean? I see some articles on the thought over the last few years, but were any solutions implemented (cisterns, basins, washes, “green” streets, etc) to make use of what rainfall comes? Most of LA is very close to sea level. there are very few places to create a reservoir for storage. When ever possible stream water is collected and pumped into the ground reservoirs However street runoff often is contaminated with oil and gas and can only be saved after it has been treated. The treatment facilities are simply several orders of magnitude too small to enable the collection of street runoff. Some people have installed Cisterns but it only takes a few hours for rain on a roof to fill one. Besides digging up the yard to install tanks is very expensive and most people don’t have the resources to do it., So much of the ground has been paved, cemented over, or has a roof that there is really no way to handle the masive runoff surge. Simply statedd the rain has been comming down too fast for any collection system to keep up with it and most of the water simply runs off to the ocean. I had friends who bought some of those large plastic barrels and would collect the run off from their roof in order to water their garden during the summer. 20 or 30 million of those would make a dent in the run off total. Such “local collection” of snow and water IS ILLEGAL at the source in many states across the west specifically BECAUSE OF that very effect! Water out west is very, very closely fought over (see Oregon and the BLM take-over’s of roads, trails, pastures, and small dams and streams. One very real source of today’s California water problem goes back to the “cool period” (El Nino/La Nada/La Nina) periods of 1915-16-17-18. The SOURCE (reference measurements) of the “political corrupt” BUT LEGALLY BINDING water rights distribution of the Colorado River Hoover Dam in 1929-1930 was based on the water flows of 1916-1917-1918 winters and snow melts. Regardless, the POLITICIANS of Colorado, AZ, NM, UT, NV, and California have been USING and SELLING water based on these greatly exaggerated Colorado water flows of 1915-1918. Not the “real water flows” of 1932 through 2015. And, subsequently, have been depleting their reserves and their futures ever since. Las Vegas is still building a very extensive water runoff collection system, pumping it to Lake Mead. Las Vegas gets less then 1/2 of LAs rainfall, I would think LA could do something similar. Ah, the delights of MADtv. In terms of sensible weather, thus far, most of what I’ve seen has fit the “Wet La Nina” pattern. That is when there is a La Nina but strangely, normal or slightly above normal precip in California. You can’t order an El Niño with anchovies? I wonder if anyone remembers the man in a row boat, rowing down Lakewood Blvd? Mid ’50s. It has to be said that the very mild weather of December in NW Europe has many parallels to late December 1989 and January 1990. The (lack of) snow records this year are being compared with December 1989 at http://www.slf.ch, the Swiss National Avalanche Service. The snow forecasts for the next 9 days in parts of France, SW Switzerland and NW Italy are for 4 metres of snow, very similar to the storms which dumped 4 metres in the week February 10 – 17 1990. I’ve no idea what was going on in California in late 1989 and early 1990, whether it was even an ENSO event back then. But there are certainly parallels in Europe between the recent macro-weather patterns of late 2015 and early 1990….. Wait till spring when the snowpack starts melting and they start screaming about the “unprecedented” flooding. ‘… Transformers, Terminator 2: Judgment Day, Last Action Hero, The Gumball Rally, Chinatown, Them!, The Core, The Adventures of Buckaroo Banzai Across the 8th Dimension, In Time, It’s Alive, Grease, Point Blank, Repo Man, Fear The Walking Dead, The Italian Job, Point Break, Gone in 60 Seconds, To Live and Die in L.A., Blood In Blood Out, Cleopatra Jones, Blue Thunder, I Got The Hook Up and Drive …’. “… Unpredictable and devastating floods continued to plague it well into the 1930s (the most notable one being the catastrophic 1938 flood that precipitated the recall of then-mayor of Los Angeles Frank L. Shaw), leading to calls for flood control measures. The Army Corps of Engineers duly began an ambitious project of completely encasing the river’s bed and banks in concrete …”. Don’t forget the sci-fi classic, “Them”. Giant ants caused by nuclear testing. Too much Carbon Dioxide Poison !! Back in the ‘30s they foolishly thought the solutions to extreme weather events was to employ direct engineering solutions whereas nowadays of course we understand the solution is to avert extremes by building thousands of apotropaic structures. Merriam-Webster wanted to know what made me look this up! I’m with TRM – love the site. It has led me to learn many new words – and more importantly, provided sites to monitor and better predict weather here in So Cal. Thanks, Anthony! Having been born and raised in California I have long enjoyed the breathless rants of newscasters whenever we got weather here in the south. This time around is no different…except that they have a cause and a diversity-friendly name to call it. 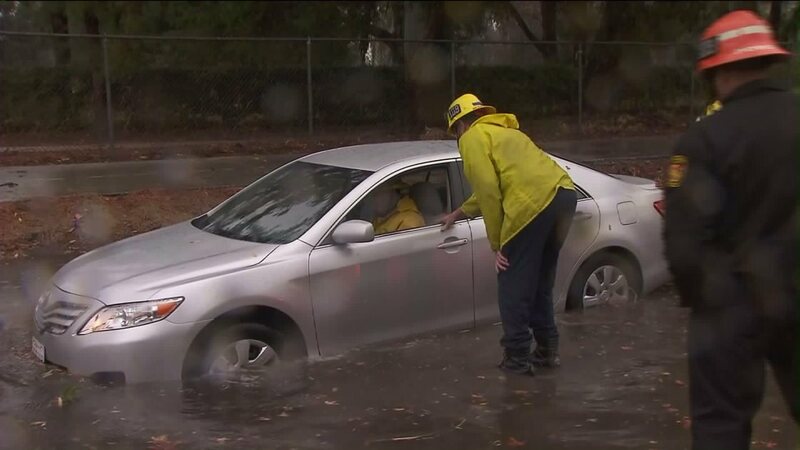 I grew up in San Diego, and every year, with or without El Niño, in both San Diego and L.A., there were stupid drivers who drove past the barriers into deep water. Nothing new here, folks, move along. I remember the winter of ’75 in Lancaster, CA. The desert was covered with 24″ of snowfall that happened on Friday night into Saturday morning. We went out to look at the beauty of it on the open desert areas. Joshua trees in the snow are quite nice, and the blue tone of the light shining through the drifts was inspiring By Sunday it was all melted. I don’t know why people get so excited about this sort of thing – it is simply weather. Uh-oh. Add it to the list: Global warming creates bad drivers. I’ve been *dying* for more rain, and so far we’ve got a pathetic drizzle here. People have been freaking over normal weather my whole life, though. Every regular event is treated as if it’s unprecedented. I think some people have an agenda, others just have the memory of an apocryphal goldfish. I’m with you Marcus. The surviving goldfish in our backyard pond definitely remembered the terror of being attacked by a hungry cormorant. It was several weeks before they regained the courage to swim near the surface, & another month before they stopped fleeing as soon as they perceived a potential threat. And the cormorant? It checked the cover we put over the pond almost daily for months, & took more fish when we removed it one time, thinking that the pond had been covered for long enough. This eagle-eyed critter had spotted our tiny pond (400 litres), almost hidden by trees, whilst flying overhead & decided it offered an easier feed than the lake, river, & residential canal systems that surround us. That sums up most of the support for today’s ‘climate science’, a complicated fantasy that somehow today’s weather is unusual, scary and has never been seen before. Thanks for the Cali update! I suppose hiking the Pacific Crest Trail will be difficult in the high mountains this summer because of snow! The chance that “people will have wised up on how to deal with plain old weather events” must be close to zero these days after thirty years of Warmista/Green indoctrination of ‘Climate Change’. These days every new event is ‘unprecedented’. As the adage says, “Droughts end with Floods.” So it was in Texas last year. So it probably will be in California … eventually. I takes a flood to end a drought. Plus, long term averages are long term averages for a very good reason…over the long term. There must be a study testing this adage. Is it really true that droughts end in floods, or is it just folk wisdom? Well, the other way that droughts end is by a long period of normal rainfall, which is not very noteworthy or noticeable to the average person. But since I noticed this phenomenon, I have observed many examples of it. The places with the worst and most frequent droughts may tend to be places like California, Texas, and Florida, all of which tend to have episodic rainfall patterns. In other words, average rainfall in these places may not be “normal”. Instead, what more commonly occurs is a dry year or a wet year, or strings of such years (since drought tends to beget drought), which end when the pattern reverses. I did not know this was folk wisdom though…I thought I was about the only one to have noticed it. Well, this is true (statistically and practically speaking) for a couple of reasons. If a drought is “2 years of below-average rainfall”, then, to get “back to average” you need at least two years of “above-average rainfall. Unlikely, you are more likely to get “a couple of months (or a couple of weeks) of much-higher than average rainfall” … which IS the popular conception of a “several floods” since the water will run off most rapidly when the dirt is extremely dry and baked tough. Then, after it does soak in after the first rainfall, the water will run off of the soaked ground after the second, third and fourth heavier-than-normal rainfalls. So, the flood “images” get higher visibility as the water rises. Damage and recovery after a flood are much longer lasting. Perception though, of course, gives greater attention to the most recent higher-then-normal rainfalls rather than the long years and months of drought; and is more newsworthy anyway to the national press corpse since the higher rainfalls (good video!) contrast with the previous years of publicity of the (poor TV videos!) longer-lasting drought. “Of course that hasn’t stopped some pundits from declaring all of this as being driven by “climate change” and claiming that “severe weather is getting worse due to climate change”. This is exactly what climate change is. This has nothing to do with Global Warming! We must turn all our efforts to prevent climate change. When climates change, there will be winners and losers. It is immoral to let the climate change and thus create winners and losers. Additionally, we must make the present winners lose too, then the world will regain its harmony. Everybody complains about the weather…nobody does anything about it! Except be prepared if you are smart. I agree with Anthony though it’s not just the weather men in LA that are flush with hyperbole. Every national news broadcast these days reports the National weather as though there’s never been a winter in the United States before and if there was it never was like this except for 25 uh 37 uh 60years uh since 1972. Same here in Oz. 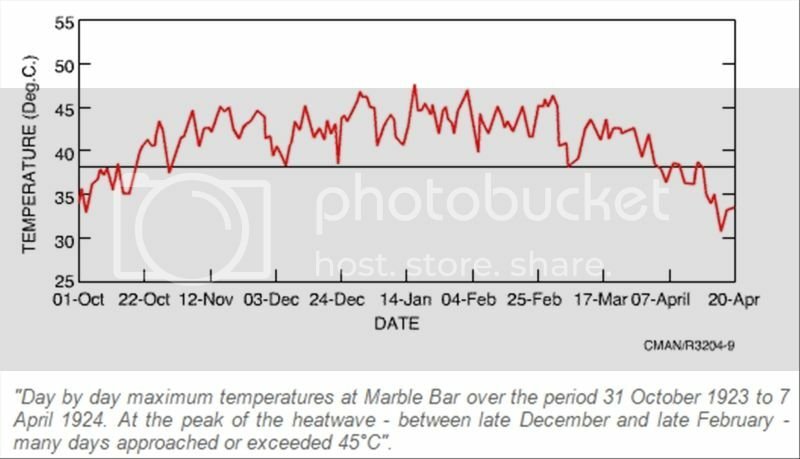 Every time a state or major (capital) city has a ‘coupla days’ of temps above 35°C …… it becomes a heatwave. Even a single day becomes ‘heatwave like conditions’. 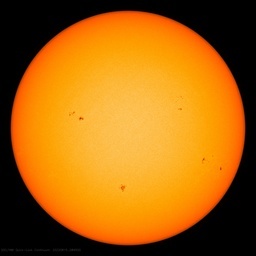 160 consecutive days above 100°F (37.8°C). A record that has stood, unbroken, for 90 years. May I just add, that 92 year old record was set when CO2 was at a ‘safe level’ of <300ppm. Yeah, but this time it is different because we are causing it. Everybody knows that Los Angelenos live in Lalaland, where, as the song goes, “it never rains in California.” They’re congenitally incapable of dealing with it. 67 years living in SoCal and experienced repeats of weather cycles several times over. This is no different but the reporting has changed. In the last 20 years “Storm Watch” has become a joke line for locals. Water use, and misuse, becomes quickly forgotten when the snow pack builds and the reservoirs fill. Our governor is obsessed with Climate Change to the point of being psychotic yet doesn’t understand the significance of water needs for a growing population and industry. He isn’t dubbed “Governor Moonbeam” for no reason. “Moonbeam” is a misnomer for Jerry Brown. Moonbeams are bright. Brown is an idiot. Meanwhile,way across the Pacific in the land of Oz, El Nino and otherwise normal summer weather on our east coast is producing heavy rain floolwed by …. wait for it … a hot spell. In SUMMER in Oz … who would EVER have thunk it!!! But WTHek, Peter Hannam, the resident alarmist churnalist at Fairfax Media is singing in the rain, crying in the sun and generally whipping up schlokk and horror. Talk about eco terrorism. Richard, I cannot do no El Nino records going back to the 1861 flood. LA got 66 inches of rain, most of it 45 days. One alarmist told me this would not produce a flood today, as they may have gotten 1.5 inches everyday, but now, well the August LA grapevine moonsoon was a once every five hundred year event. In 1861 grass valley Ca. got nine inches in one day on already super saturated ground. El Nino or not, it was an El Nino like pineapple express, and, if repeated today would overload our resivors and flood controls. 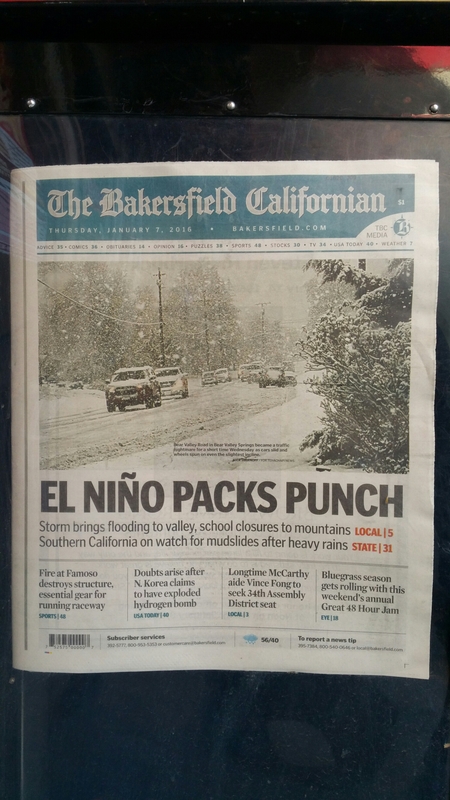 Wait, didn’t El Ninos just start after the advent of the SUV and Coal Burning Power Plants? Clearly CO2 is the cause of El Nino. Sorry, late to the party, but want to comment about “What makes a drought a drought”. Locally they measure drought not by the rainfall but by the levels in the nearby lakes. So even though it rained us half to death here in Texas we were still officially in a drought until the lakes finally started flooding. Weeks after that, some localities admitted we were not in a drought, although my area insisted it was a drought for months more. Some areas are retaining their watering restrictions on the grounds that we just do not have enough water despite floods. Now if you think about this, we pull water from the lakes for drinking water. The more people you have, the more water you pull. Many Texas cities are growing faster than ever… So droughts are increasing in these city areas as lakes are drained faster each year. This seems so simple, but we don’t build any new lakes – we just keep adding people. The end result is lakes are getting low faster and so we report more droughts – even when the rainfall appears to be normal. Now this doesn’t account for rural areas – there are and always will be reoccurring droughts in Texas, but you will see more and more droughts reported, so it MUST be climate change. The end result is lakes are getting low faster and so we report more droughts – even when the rainfall appears to be normal. In GA-AL-TN, almost all water is surface runoff, a little bit of snow run-off, and a tiny bit of underground pumped water. (Mid FL has a LOT of pumped water from their aquifers!) Local rainfall IS the water supply, and the local lakes ARE the current and next year’s water supplies. No rain for two-three years? No drinking. None. There is no other reserves, no other way of getting water into the region. No aquifers. TX has some run-off water, but it is so large that no one statement is right for the whole state. Mid-TX pumps water up from the Edwards Aquifer, but THAT water comes from the limestone-beds trickling through water from an entirely different area uphill in the plateua and Hill Country. A few lakes (Austin, Colorado river, Blanco, etc) but they are small. Creeks are semi-monthly (Piedernales is a “river” really? You gonna dam the Salado Creek in San Antonio? The San Antonio River too? ) So, what water is pumped is from two-three-four years previous. And IS being pumped much faster than it is being re-filled by the last few rain storms – most of which run off anyway too fast to soak in. (The reason many small dams are made: To let the water stop and soak in before it evaporates.) Some lakes in the east are surface water sources for cities. Much of the state is simply dry when it doesn’t rain. Wet when it does rain. CA is two cases: In-state runoff into lakes (north and Sierra mountains). Snow melt and rain. NO summer rain at all. This year’s water is (at most!) good for only two-three years in the lakes in the mountains. Then it is gone to the San Francisco cities. The rest of the water is imported from EACH year’s snow and rain across the almost entire southwest region. As mentioned above, then it goes to the southern CA cities. Maybe two year’s reserves in the Colorado River lakes. You dress a lady newscaster in fishing waders, stand her in ankle deep water, have her speak breathlessly about the horrible tragedy. At least once I saw yagoddabefoggnkiddnme body language that belied the message. Hola! Dees being normal qui mo sabe. In the 1983 Nino they had to put a four foot plywood extension atop Glen Canyon Dam. The overflow tubes on either side blew chunks of first concrete and then the supporting rock. We came breathtakingly close to undermining the lateral support for the dam and having Lake Powell exit to the Sea of Cortez. It’s not too late for a serious Nino pattern to develop, but time is running out. This weeks 6 inch rain pattern was undermined by an “outside slider” outbreak of polar air like the the outbreaks that have defined the season so far. Looks like some more inside silders may be on the way. Getting quite meridional now. Meridional is “the Anti-El Nino. Pretty much. In spite of his determination to this run of the mill nino into the judgement day, Daniel Swain at California Weather Blog posted this CFS which predicted the current episode very well, but predicts a resumption of cold outbreaks off the coast. Wasn’t AGW causing the LACK of rain in CA?? Didn’t they have the local equivalent of Flannery doing the “dams will never fill again” routine? I-5 does not go anywhere near the Tehachapi Mountains, perhaps you meant the Grapevine @ I-5? Tehachapi has Hwy 58. Here’s a link to the worst flooding in California history and it occurred in 1861. It was a 41 day rain storm. Using rain barrels or local cisterns to capture rain water depends on the type of soil to be able to recharge water basins. In parts of Los Angeles there is impermeable clay soil. Near the foothills there are alluvial fans which are quite permeable. California’s new law allowing local flood control agencies to get into the water production business by capturing and storing water from flood control channels makes no economic sense. Go to page 4-2 of the City of Pasadena’s “Integrated Water Resources Plan”. Stormwater runoff capture could cost up to $46,000 per acre foot of water (a football field of water one foot high) compared to $209 per acre foot for diverting existing water from streams to a water treatment plant. Even worse, stormwater capture could only yield maybe 44 acre feet of water (enough for 88 households or 264 persons) while local surface water diversion could yield 2,164 acre feet of water (enough for 4,328 households or 12,984 people). Rain barrels and storing oil laden water from flood channels is a feel good solution like installing solar panels that require massive subsidies, result in instability of the power grid, and subsidize the rich at the expense of the middle class (the poor get low power rates). Rain barrels and solar panels lessen the social alienation and powerlessness people feel in dealing with massive bureaucratic power companies (So Cal Edison, PG&E, LA Dept. Water & Power, etc.) but is entirely uneconomic, as are most “environmental” solutions to water and energy problems). Watching most news, one should believe that these storms are creations of El Nino. El Nino instigates storm development in Siberia and Gulf of Alaska? Shifts the pattern of the polar northern jet stream? It can do anything!! Maybe the El Nino variable added a little more lower atmospheric moisture to these northern storms as they swept down below Wash. and Oregon, guided by the current whims of the jet stream. But for major temperate latitude west-moving El Nino evaporation-onto-continent action, let’s hope the “Pineapple Express” occurs. That will be major “El Nino Year” moisture moving. To be fair, some of the systems last week got juiced by the subtropical jet, since the jet has been cycling between zonal and split. Just as the jet was reunifying there was a jet streak down in SoCal. But now the subtropical jet is sliding equatorward, well down into Baja now. The drought in California was beginning to be frightening for some people. Now that we are getting this rain, and above average snow in the mountains, you’d think that people would be relieved and smiling over it all. But no, tv news has to slam your senses with a dark, murky ditch of negativity. In California, normal rainfall is drought level. Every few years we get heavy rains to recharge the system. In other words, our mode is well below median rainfall. (In Los Angeles over the last 135 years, 60% have had below average rainfall.) This is nothing new. The problem is that our population has doubled over the last 30 odd years, but we haven’t increased our storage capacity to get us through the lean times, so we have to hope the big storms arrive on schedule. Our draw down problem has been made worse by increased environmental releases for the fish and for Mexico and decreased allotments from the Colorado. I’m fine with environmental releases (especially during years of plenty) and the river should have some water by the time it gets to Mexico, but we should be planning accordingly, building more storage upstream. I’d also like to see more desalination facilities. Given that fresh water can be created from sea water for less than I’m currently paying for tap water, I say build desal for the big coastal cities and let the farmers fight over the cheap inland water. Except: ” I’d also like to see more desalination facilities.” Poor use of energy and money that creates other problems while only partially solving one. The only time desalination is effective is when there’s no other source of water. Water management and increased storage in the long term is the answer.